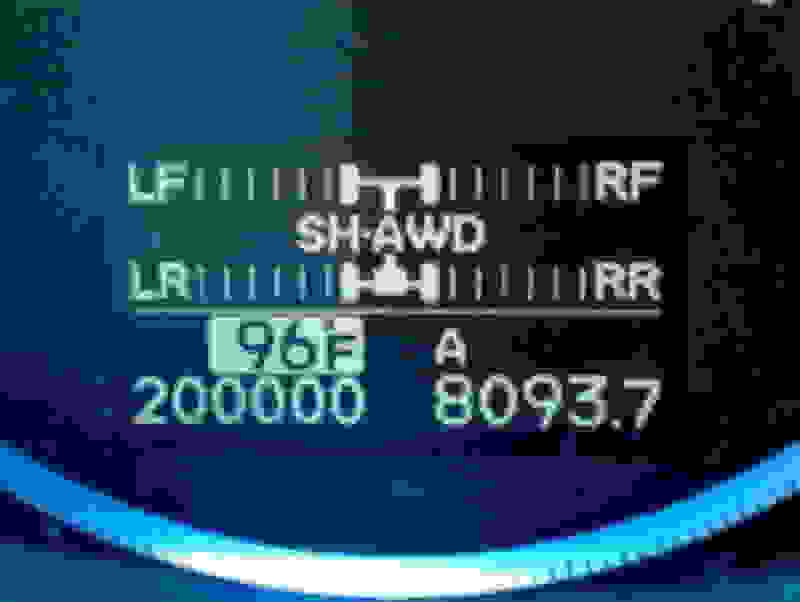 200,000 miles! I did it!!!!!!! After 1 year 4 months and 24 days, I went from 175,018 to 200,000 miles!!! I know it's not much, but it's what I've done!!! 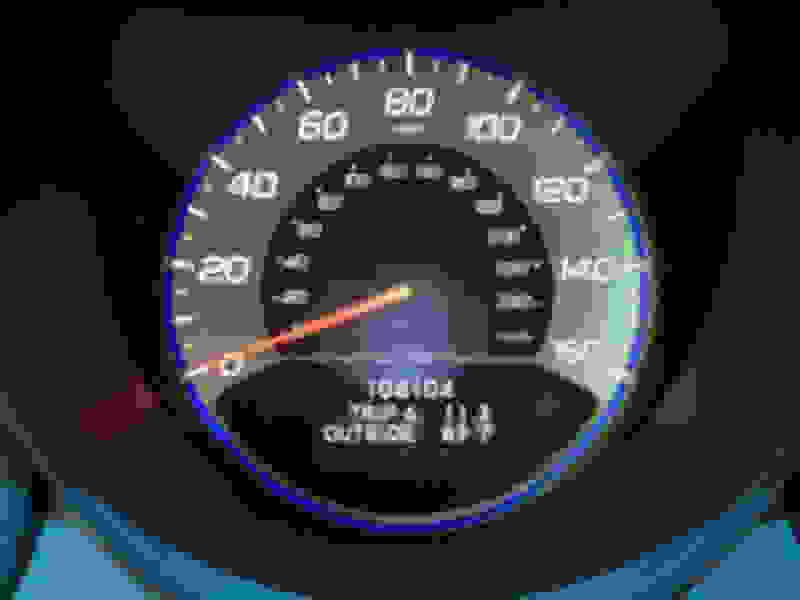 I was almost infront of the Meridian, MS airport heading eastbound on I-20/59 just east of the merge... That's what I love about road trips, it runs my mileage way up, and just a wonderful way to celebrate... Now, on to 225,000 then 250,000! You give me a lot of hope for my RDX at only 140,000 miles. Keep us posted as the mile pile up. See you in a few years...100k last September, 123k today, with a 4k road trip in 6 weeks. Next year will be my major maintenance - shocks, struts, end links, bushings (if needed), front axles (car has always had a slight wobble on acceleration), serpent belt, usual fluids, and if needed a valve adjustment. Hopefully that'll get me to 300. On the bright side, the engine runs like new, still strong and smooth as ever, and were hard on it!!! I know it's just "my" RDX having problems!!! But I still love it to death and beyond!!! I've already put more miles on the TL than I did on the Camry, had the Camry over three months, and the TL six weeks and a day... Needless to say, these day trips are paying off.. I need new front struts... He said NAPA struts are just as good as OEM... It'll be $680 ish, vs. $900+.... That is also what is causing the rubbing sound and pull to the right... Makes more sense to me... Hopefully that's it, struts go bad, not a big deal!!! Man, the RDX's MID display really is low-resolution! I thought the same thing until I realized I needed to wear glasses in low light when looking at small print for the first time in my life. Indeed. Same case for me. I find reading fine print difficult even in bright light. I just can't seem to focus the tiny words no matter how hard I try. I need my reading glasses for that. Last edited by simione; 07-30-2017 at 08:53 AM. Congrats! I just surpassed the 200k mark in mine a few weeks ago. I meant to take a photo to mark the milestone but I neglected to =( I too have had a whole load of issues over the years, mechanical and electrical. When you say a whole load of issues, were they wear items like shocks & struts and brakes and stuff, or items you wouldn't expect to break, like turbo replace, transmission replace, etc? 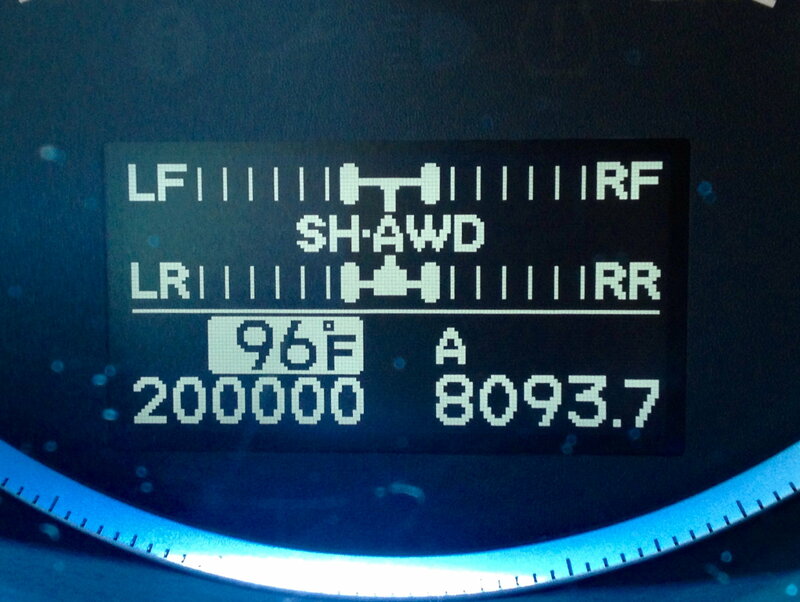 At 200K miles, the car has been driven and is like an old person needing a knee replacement. Don't need to euthanize the person, just replace some worn down parts. However, not all older people/cars need new body parts if you get my drift. I'm at 192k now. Only issues have been with the A/C, and my Nav unit doesn't work 100% and needs a refurb. Probably could go another 100k the way I drive it, but my wife is going to be getting it now because I am taking delivery of a 2018 Subaru Outback 3.6R Touring this weekend. I told her the RDX is probably going to go down as the best car I've ever owned, but I do a lot of travelling out of state and don't want to deal with potentially getting stranded. Everyone tells me to drive it until the wheels fall off, which is fine, but I just don't want the wheels to fall off when I am a few hundred miles from my house. I already know I'm going to miss the ELS sound system, and probably the hydraulic steering and SH-AWD too. Alas, it's time to move on. Hope she keeps running strong, by the way I'll reply to your pm tomorrow, sorry I've been so busy. Thanks! I hope she does too!!! Heres the TL, hit a little milestone today!!! Still haven't put the lip spoiler on yet, it came in 9 days ago, I thought it was too long but after checking it's just right!!! I need to figure out how far back to put it because it isn't curved down to wrap over the edge of the deck lid, I'll just go as far as I can without it looking stupid!!! When you say a whole load of issues, were they wear items like shocks & struts and brakes and stuff, or items you wouldn't expect to break, like turbo replace, transmission replacei, etc? 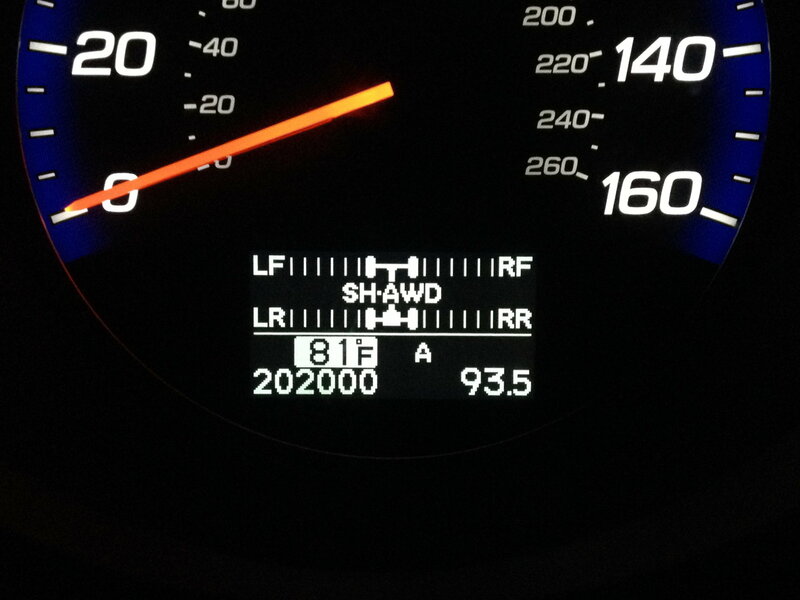 At 200K miles, the car has been driven and is like an old person needing a knee replacement. Don't need to euthanize the person, just replace some worn down parts. However, not all older people/cars need new body parts if you get my drift. I've had to replace the alternator, AC compressor/condenser, radiator, driver's side rear caliper seized, etc. I can't remember everything without looking at my records. Still less to fix than the average week with my Jag. I only just passed 70,000 miles yesterday on my RDX. It's a 2008, bought brand new in 2007. Everything is perfect on it, except one fog light has a crack in the glass lens. 100% ding and dent free! Those of you with over 100k, did the stock turbo have to be replaced? My 2011 has 113k and that is one of my biggest fears with this car. BTW, congrats OP on the mileage. Congrats on the 200K. I too like to hear about the RDX as a tough survivor. Man, your RDX has low miles!!! Nice!!! 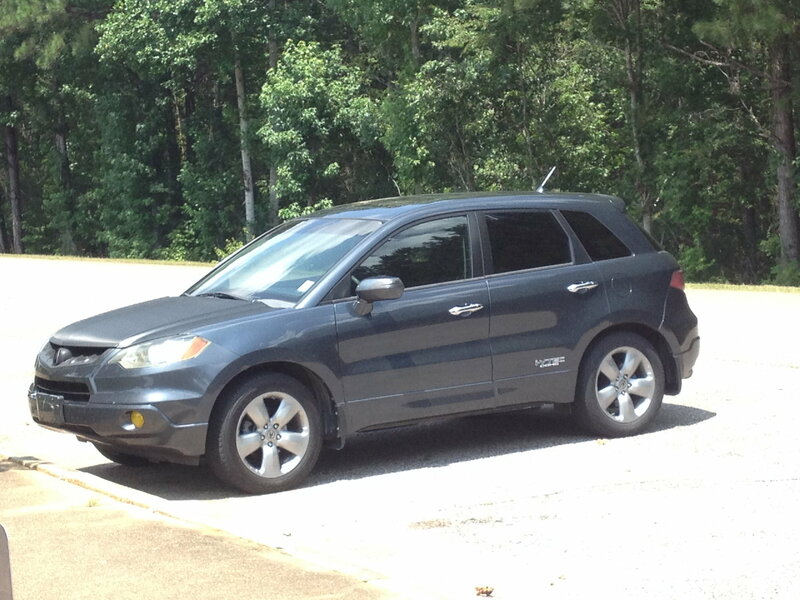 I have +143,000 on my 08 RDX with zero issues with the turbo, AT, or sh-awd system. The last two major fixes were an alternator and front brake pads. I stick to the M.I.D. maint schedule and usually run 91 octane from Sam's or Costco. I even have hondata reflash+ETS intercooler with zero issues with the powertrain. I split my mileage between my 06 TSX (+139,000), 08 RDX (+143,000), and 11 MDX (+102,000) for +384,000 combined miles. I want to get +500,000 miles between all three before trading one of them out. I have +143,000 on my 08 RDX with zero issues with the turbo, AT, or sh-awd system. The last two major fixes were an alternator and front brake pads. I stick to the M.I.D. maint schedule and usually run 91 octane from Sam's or Costco. I even have hondata reflash+ETS intercooler with zero issues with the powertrain.<br /><br />I split my mileage between my 06 TSX (+139,000), 08 RDX (+143,000), and 11 MDX (+102,000) for +384,000 combined miles. I want to get +500,000 miles between all three before trading one of them out. This thread gives me hope too! 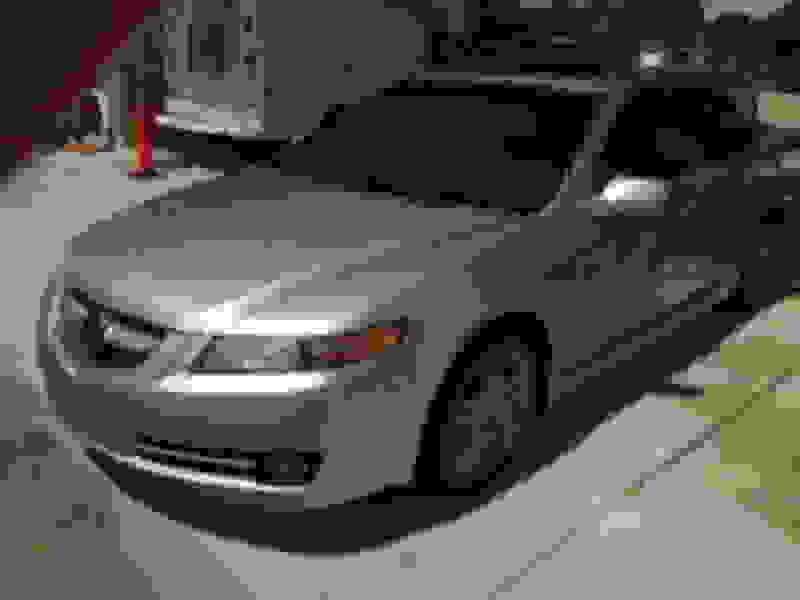 I'm picking up a 07 RDX Tech today with 186k kilometers. So that's about 116k in miles. I just hit 70k miles on my 08. Everything still running like new. Maintenance is per the MID. Exterior still looking like new as it gets frequent car washes. A little embarrassed to say 50k on my '11. But 70k on an 08 is not much better Mine runs like a charm (knock on wood). Just did the annual oil change (plus two months) this past weekend. Really is a breeze to change the oil since everything is right there and in front. My GF has a 2010 CRV, and the oil drain bolt faces rearward, so when you are taking the bolt out from the front, it is almost impossible not to get oil on you hands, or better yet drop the bolt in the oil. The RDX oil drain plug faces the driver's side front wheel, so taking it out is much easier to get out of the way. The little things I notice. This little thing can move when it wants to. I am thinking of the Volvo XC40 or XC60 Hybrid in about three years, which supposedly goes 0-60 in 4.9 seconds. Can't imagine how much quicker that would feel if needed.